In 1910, Washington state had more than 27,000 commercial farms that grew apples, according to data from the Washington State Tree Fruit Association. A little over a century later — as of 2012, the latest year data was available — the state had 2,839. The number of commercial tree-fruit farms has dropped drastically, and the companies left are bigger and vertically integrated operations. But most, if not all, firms remain family-owned. Industry watchers now wonder if that could change now as outside investors are starting to purchase Washington tree- fruit companies, including ones with a presence in the Yakima Valley. In January, International Farming, a North Carolina company, announced it acquired Legacy Fruit Packers, Valley Fruit and Larson Fruit, all based in the Yakima Valley. The acquisition included about 4,000 acres of orchards and two facilities that pack about 4 million boxes of fruit annually. The operations are now called Columbia River Orchards. International Farming also acquired an interest in Sage Fruit, a Yakima fruit-marketing company, and Pacific Coast Cherry Packers in Wapato. Ontario Teachers’ Pension Plan purchased Prescott-based Broetje Orchards late last year. The purchase included orchards, a packing facility and the First Fruits marketing arm, which is based in Yakima. All the assets will be under the First Fruits name. The purchase price for the entire acquisition was not revealed, but real-estate records show the property portion of the purchase was valued at $288 million. “We are seeing outside investing groups looking at agriculture and tree fruit in particular as a worthwhile investment,” said Tim Kovis of the Washington State Tree Fruit Association. Neither International Farming or the Ontario pension fund are new to investing in agricultural firms. The Canadian fund’s portfolio includes agricultural firms such as Aroona Farms, an Australian almond grower, and Woodspur Farms, a California date grower and processor. International Farming has stated that it’s been able to match or outperform other types of traditional investments, such as stocks, by investing and partnering with growers to boost production and return on large-scale farmland property. Both investment companies have said the strength of the tree-fruit industry drew them to invest in the sector. “Columbia River Orchards’ exceptional tree fruit land base, state-of-the-art packing and storage facilities, outstanding horticultural expertise and forward-looking marketing desk position (the company) very well for rapid growth in the innovative Northwest tree-fruit sector,” International Farming said in a news release. The company could not be reached for additional comment. In an emailed statement to the Yakima Herald-Republic, Dale Burgess, senior managing director for infrastructure and natural resources for the Ontario pension fund, called the acquisition of Broetje Orchards a “strong strategic fit” for its investment portfolio and an opening to an industry that provides an essential food staple. While the tree-fruit industry hasn’t been free of challenges — a labor dispute affected shipments through the Port of Seattle in 2014 and tariffs have affected trade with China and Mexico this past year — it has fared better than other agricultural commodities, Kovis said. The Washington state apple industry has also made several key moves that helped increase visibility and interest nationally and internationally. They include embracing new apple varieties and adopting new production and packing technology that has improved the quality and taste of apples, said Desmond O’Rourke of Belrose, a Pullman-based company that looks at global apple-market trends. This has resulted in strong profits in recent years and much of those profits has gone back to the businesses, he said. But while Washington’s tree-fruit industry overall has fared well in recent years, it’s become more challenging for individual companies, especially small- and medium-sized ones, to maintain a firm footing in the industry, Kovis said. 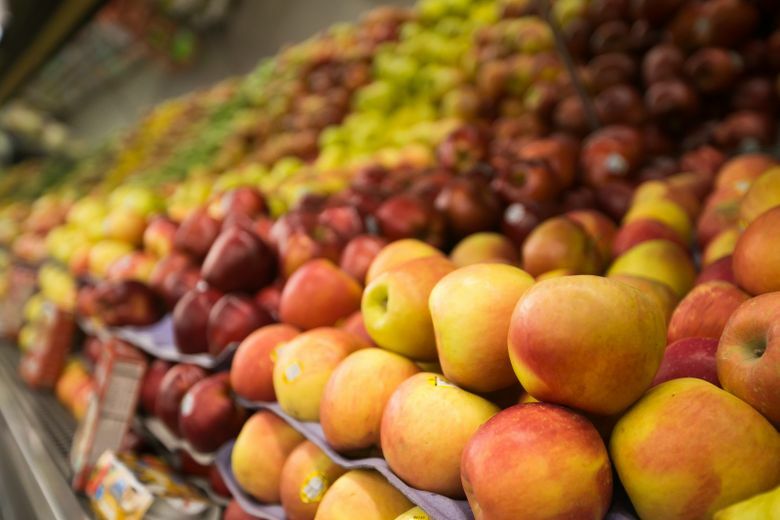 Tighter food safety, production and packaging regulations, along with big retail brands demanding massive volume of fruit at a high quality, have made it difficult for many firms to manage a desired level of profitability, Kovis said. And there are fewer profits to invest in opportunities for the future, such as purchasing trees of new apple varieties, building new cold-storage rooms and investing in new packing lines, O’Rourke said. There’s also a question of succession: Not every family has a new generation willing or able to take on ownership of a tree-fruit firm. “There’s always that really difficult decision: Do I hold on for more gains, or do I cash out?” O’Rourke said. Kovis said how well the investment firms do with local fruit companies may determine whether other tree fruit firm owners will opt to sell. “I think it’s too early to tell if this is the new normal or a flash in the pan,” he said. Information from the Tri-City Herald is included in this report.